In this review-paper, I focus on biopsychological foundations of geometric cognition. Starting from the Kant’s views on mathematics, I attempt to show that contemporary cognitive scientists, alike the famous philosopher, recognize mutual relationships of visuospatial processing and geometric cognition. What I defend is a claim that Tinbergen’s explanatory questions are the most fruitful tool for explaining our “hardwired,” and thus shared with other animals, Euclidean intuitions, which manifest themselves in spatial navigation and shape recognition. I claim, however, that these “hardwired intuitions” cannot capture full-blooded Euclidean geometry, which demands practice with cultural artifacts in various time-scales. Beaulac, G. (2014). Back to the Fodor-modules: The modularity of mind revisited. Proceedings of the Annual Meeting of the Cognitive Science Society, 36, 1904–1910. Bechtel, W. (2008). Mental mechanisms: Philosophical perspectives on cognitive neuroscience. New York: Routledge. Brouwer, L. E. J. (1975). Philosophy and foundations of mathematics: L.E.J. Brouwer collected works. (A. Heyting, red.). New York: Elsevier. Cooper, L. A., Shepard, R. N. (1973). Chronometric studies of the rotation of mental images. W: W. G. Chase (red. ), Visual Information Processing: Proceedings (ss. 75–176). New York: Academic Press. Craver, C. F., Darden, L. (2013). In search of mechanisms. Chicago: University of Chicago Press. Dadaczyński, J. (1999). Filozofia matematyki Immanuela Kanta i jej dziedzictwo. Zagadnienia Filozoficzne w Nauce, 24, 26–42. Dehaene, S. (2011). The number sense (Revised). Oxford: Oxford University Press. Fodor, J. A. (1983). The modularity of mind. Cambridge, MA: The MIT Press. Fyhn, M., Molden, S., Witter, M. P., Moser, E. I., Moser, M.-B. (2014). Spatial representation in the entorhinal cortex. Science, 305, 1258–1264. http://doi.org/10.1126/science.1099901Gallistel, C. (1990). The organization of learning. Cambridge, MA: The MIT Press. Gibson, E. J. (1969). Principles of perceptual learning and development. New York: Appleton Century Crofts. Grobler, A. (2006). Metodologia nauk. Kraków: Aureus-Znak. Hohol, M. (2017). Wyjaśnić umysł: Struktura teorii neurokognitywnych (Wyd. 2). Kraków: Copernicus Center Press. Hohol, M. (2018). Od przestrzeni do abstrakcyjnych pojęć: W stronę teorii poznania geometrycznego. W: R. Murawski, J. Woleński (red. ), Problemy filozofii matematyki i informatyki (ss. 29–143). Poznań: Wydawnictwo Uniwersytetu Adama Mickiewicza. Hohol, M., Wołoszyn, K. (2016). Ewolucja umysłu. W: M. Heller, J. Życiński, Dylematy ewolucji (ss. 293–310). Kraków: Copernicus Center Press. Horst, S. (2016). Cognitive pluralism. Cambridge: MIT Press. Izard, V., Spelke, E. S. (2009). Development of sensitivity to geometry in visual forms. Human Evolution, 23(3), 213–248. Kant, I. (1993). Prelogomena do wszelkiej przyszłej metafizyki, która będzie mogła wystąpić jako nauka. Warszawa: PWN. Lakoff, G., Núñez, R. E. (2000). Where mathematics comes from. New York: Basic Books. Landau, B., Lakusta, L. (2009). Spatial representation across species: geometry, language, and maps. Current Opinion in Neurobiology (Vol. 19, ss. 12–19). Maguire, E. A. (2001). The retrosplenial contribution to human navigation: A review of lesion and neuroimaging findings. Scandinavian Journal of Psychology, 42(3), 225–238. Miłkowski, M. (2013). Explaining the computational mind. Cambridge, MA: The MIT Press. O'Keefe, J., Dostrovsky, J. (1971). The hippocampus as a spatial map: Preliminary evidence from unit activity in the freely-moving rat. Brain Research, 34(1), 171–175. O'Keefe, J., Nadel, L. (1978). The hippocampus as a cognitive map. Oxford: Oxford University Press. Prinz, J. J. (2006). Is the mind really modular? In R. J. Standton (Ed. ), Contemporary debates in cognitive science. Malden. Samuels, R. (1998). Evolutionary psychology and the massive modularity hypothesis. The British Journal for the Philosophy of Science, 49, 575–602. Thinus-Blanc, C., Chabanne, V., Tomassi, L., Peruch, P., Vauclair, J. (2010). The encoding of geometry in various vertebrate species. In F. L. Dolins, R. W. Mitchell (Eds. ), Spatial cognition, spatial perception (ss. 99–116). Cambridge: Cambridge University Press. Thrun, S. (2002). Robotic mapping: a survey. In G. Lakemeyer, B. Nebel (Eds. ), Animal navigation - a synthesis (ss. 1–36). San Francisco, CA. Tolman, E. C. (1932). Purposive behavior in animals and man. Berkeley, CA: University of California Press. Urbańczyk, P. (2014). Geneza intuicjonistycznego rachunku zdań i Twierdzenie Gliwienki. 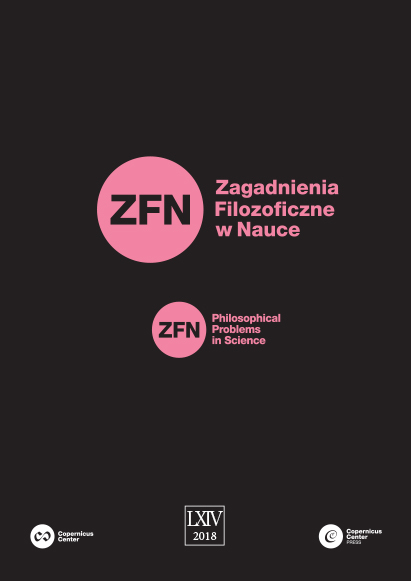 Zagadnienia Filozoficzne W Nauce, 56, 33–56.